Inhalant use is prevalent among 8th-10th graders, reporting an average of 10% of students in these grades having ever used inhalants (NIDA, 2011). In general, inhalants are used by the younger generations and are poorly studied because of the heterogeneity of the substances involved. Common household items and chemicals are typically inhaled and were never intended to be used in this manner. Inhalants are taken into the body via the nose or mouth, by either breathing in the chemical, spraying it directly into the mouth or placing a chemical-soaked cloth in the mouth. Most inhalants act in an alcohol-like fashion, acting as a depressant on the central nervous system (CNS). Increased risk for stunted development in fetuses if used by pregnant women. Possible tissue damage to the areas that the inhalants come in touch with, such as nasal scarring and mouth sores. Anoxic brain injuries, coma and death (due to asphyxia, vomitus aspiration, or respiratory depression) may occur even after just one use of an inhalant, though this is less common. NOTE: Because of the heterogeneity of inhalants, different substances may have specific effects that have not been mentioned here. "Sudden sniffing death syndrome" may also occur with inhalant use. This is characterized by the user becoming startled during inhalation; the combination of catecholamines released by the startling, and the chemicals in the inhalant can cause ventricular fibrillation and death from cardiac arrest. Most commonly reported are neurotoxic or neuropsychiatric effects such as depression, seizures, brain damage, and impaired memory and learning.Long-term inhalant use has not been well studied, because in the case of inhalant use, "long-term" use is a relative term. The harms associated with using inhalants are adverse, even when used for a prolonged period over the course of a few days. For example, inhalant use is frequently associated with demyelination of neurons in the nervous system, leading to movement disorders such as limb spasms and Parkinson's disease. 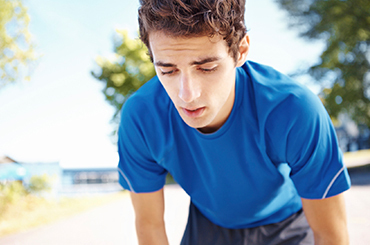 Cardiovascular and lung function have been compromised in some users. Metabolic syndrome and immune dysfunction. The addition of other substances creating a poly-substance abuse situation. Studies have shown that youth who use inhalants are more likely to develop poly-drug abuse in the future. Like other aspects of inhalant abuse, craving has not been well studied. However, there are many researchers who believe that it is possible to become dependent on inhalants, in which case, cravings would be a likely accompaniment to inhalant abstinence. Cravings for inhalants can be triggered by environmental cues that remind the user of a time when he was using an inhalant in a certain setting. Cravings may also be triggered by withdrawal from inhalants. Inhalant users can arguably become psychologically and physiologically dependent upon inhalants over a period of longer-term use. Psychological dependence is often characterized by using the substance even though it has negative life consequences, as well as a feeling of being compelled to continue using inhalants to have the feelings associated with use. Physiological dependence occurs when users experience negative physical consequences when they stop using inhalants (such as withdrawal symptoms). Tolerance is especially dangerous with inhalants because of the risks of sudden death due to asphyxiation. Tolerance can develop in inhalant users when they require more substance to achieve the same desired effect. This is especially dangerous with inhalants, because of the risks of sudden death due to asphyxiation (the more chemical is being inhaled, the more oxygen is being replaced with the chemical, the higher the risk for asphyxiation) and lasting neurological damage that can occur with high doses of inhalants. Tolerance can also cause the user to overdose due to the increased amount of inhalant required for the desired effect. The severity of these symptoms can depend on the amount of inhalant last used, or the level of physiological tolerance a user has acquired. Withdrawal symptoms are alleviated by the further use of inhalants, so this can often be a trigger for relapse in an abstinent user. Having trouble contemplating a single day without using inhalants? Substance abuse treatment facilities exist to help with such problems. Call our confidential line at 1-888-993-3112Who Answers? to speak with a compassionate and understanding support specialist about inhalant treatment options. 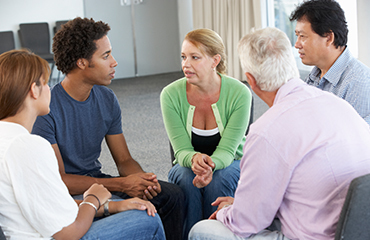 Find a Meeting Narcotics Anonymous offers a 12-step support approach to help those struggling with inhalants or other drugs. Find a local meeting for you or your loved one. Long-term studies on the effects of inhalant addiction on quality of life have not been conducted. However, it can be extrapolated from the information already gathered about inhalant addiction that it carries serious consequences, both on physical health and lifestyle. Because of the intoxicating and often incapacitating effects of inhalants, users may have decreased levels of function at work or school, as well as impaired relationships with family and friends. Inhalants can cause hallucinations, which may interfere with users interpersonal interactions as well. In the long-term, the lasting neurological deficits associated with inhalant addiction may have deleterious effects on quality of life, being able to hold or acquire a job, form new relationships and maintain old social ties. Inhalant abuse is usually accompanied by a psychiatric disorder, which may lead to the inhalant abuse in the first place. However, some research has suggested that the use of inhalants may actually lead to neurological changes that can manifest as psychiatric disorders. Often, adolescents may use inhalants without fully realizing the consequences since they are household substances that are legal, inexpensive, and readily available. Adolescents may develop depression as a result of their inhalant abuse, and subsequently are at higher risk for committing suicide than their non-addicted peers. The study also found that females were at higher increased risk for several psychiatric disorders than males. The health effects of even short-term inhalant use can be serious and irreversible. Don't wait for problems to mount before seeking help. Call 1-888-993-3112Who Answers? to speak with a treatment support staff member and find out available substance abuse treatment programs today. 1. Kurtzman, T. L., Otsuka, K. N., & Wahl, R. A. (2001). Inhalant Abuse by Adolescents. Journal of Adolescent Health, 28, pp. 170-180. 2. Li-Tzy, W., & Howard, M. O. (2007). Psychiatric disorders in inhalant users: Results from The National Epidemiologic Survey on Alcohol and Related Conditions. Drug and Alcohol Dependence, 88, pp. 146-155. 3. Perron, B. E., Howard, M. O., Vaughn, M. G., & Jarman, C. N. (2009). Inhalant withdrawal as a clinically significant feature of inhalant dependence disorder. Medical Hypotheses, 73(6), pp. 935-937. 4. Ridenour, T. A., Bray, B. C., Cottler, L. B. (2007). Reliability of use, abuse, and dependence of four types of inhalants in adolescents and young adults. Drug and Alcohol Dependence, 91(1), pp. 40-49.